From the age of eighteen, Sean Penhall travelled across the globe working as an international model. After years of working in the industry, Sean felt compelled to take the valuable experienced he gained to open up his own placement agency, Want Management. 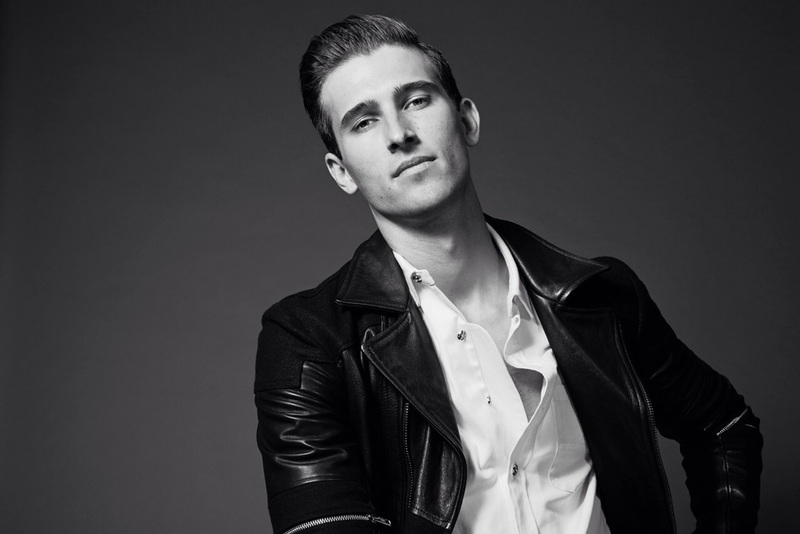 A former model turned agent and photographer, the Calgary native is a triple threat who's determination, passion, and good character will surely continue to propel his success. The Business Model: Toronto is a fairly small market with many models and agencies. What inspired you to create Want? SP: When I moved to Toronto, opening Want Management wasn’t something I had thought of starting. Prior to living in Toronto, I had spent some time travelling as a model, but returned home to Calgary with a camera and started building a portfolio. It was during this period that I started scouting faces for my mother agent. The people I scouted were offered international contracts and I helped with their development behind my lens. I realized that I was capable of scouting and developing models to a level that could allow them to travel to some of the world’s greatest markets with some of the most respected agencies. TBM: Why does Toronto need Want? SP: I think every agent or agency has it’s own aesthetic. Want has it’s own unique vision and eye. What I might find special in someone might be different from another scout or agency. It could be someone that is overlooked had I not scouted them. Want can enable someone that may have not been noticed to get noticed not only on a local level, but internationally as well. A great example of this is when I scouted Andras Kajari working in the paint department of Home Depot. I still have all the emails from the agents in Toronto that passed on him even though I felt he had enormous potential and charisma. Andras has since worked in every major market around the world, some a few times over. TBM: When an aspiring model is looking for a mother agency, why should they consider Want? SP: In this case, I am going to let my work speak for itself. Want Management takes on the role of Mother Agent to every model on the roster. However, what I want to add is that I believe it’s important - when choosing a mother agency - that [aspiring models] do so for the right reasons, whether it be a local booking agency or a placement agency. What is that agency doing to facilitate that model’s career? Do you like the direction of their roster? Do you identify with the vision of that agency? Is their vision in line with the vision of the career you’d like to have? Do you identify with the models on their roster? Do you see eye-to-eye with that agent? Are they going to look after your best interests or their own? Do you trust them? Those are a few things I think people should consider with any agency, not only mine. 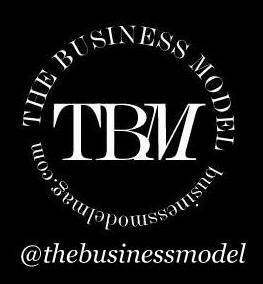 TBM: What do you think is the benefit of a model having a mother agency like Want, in addition to a larger booking agency? SP: Want’s vision isn't to compete with a larger booking agency, we work with the larger booking agencies to help facilitate the career of the model. Want’s role is to place the model with the “right” agency. Instead of a model walking blindly into an agency, Want helps prepare, arrange, and facilitate meetings with reputable agencies/agents that want to help build a long-lasting career for a model. Want Management’s revenue is generated from commission alone, so we don’t work with model mills, schools, or agencies that don’t actually produce results. Want works with agents that care about the model and the model’s career. TBM: What sort of models does Want look for? SP: That isn’t an easy answer. I could be anywhere and find someone. It’s not limited to any place or any kind of person. I look for height, symmetry, big beautiful eyes, interesting noses, lips, cool hair, oval shaped faces, mixed backgrounds, build, skin condition, smiles, personality, uniqueness, and style. TBM: With so many agencies already in the city, does it make it more difficult to scout for new faces? SP: I could be anywhere and find a new face. It's more a matter of luck, timing, and chemistry between the person I scout. It's also a matter of how much energy is devoted to scouting on a regular basis that brings the results, so I don’t think it has so much to do with competition as it does with being ambitious enough to get out there and put the time in. TBM: Who on your board are you most excited for - in the city and abroad? SP: To be honest, I am excited about all of my models. Nigel and Graeme are re-launching this January by heading back overseas to Asia for back-to-back contracts. Andras has spent the past year traveling and is spending some time in Thailand. Thomas is back in Brazil to spend time with his family after a year of traveling as a model. Marinus just got back from New York after opening Givenchy in Paris as an exclusive this summer. Ryan has been working full time as a model for over a year and just finished spending his first placement in New York. He’s off to Europe (Paris, Milan) for the first time with some exciting options already! Aston had a really great show season in January, and killed it in Tokyo this past summer shooting for the likes of GQ and Uniqlo. He is doing all three European markets (Milan, Paris, London) this season for shows, so I am really excited for him. Nick has been doing well since he shot the Dolce & Gabbana Catalog in Milan with Domenico himself. Andrew recently shot his first editorial for Dress to Kill Magazine, even though I had only scouted him in August. I shot Justin for Filler Magazine as his first editorial. And some of my new faces are starting their first placements in Toronto and/or have exciting options for shows in January. TBM: You're also a very talented photographer. When did you take up photography and why? SP: Thank you! I started while I was traveling as a model by shooting my roommates. I was always interested in what photographers were doing when I was on set with them. I wanted to understand lighting. It’s been a really interesting art form to explore for me and a valuable creative outlet for me and for my models. TBM: What's it like working behind the lens as opposed to in front of it? SP: Comfortable. At this point in my life I prefer to be behind the lens. It allows me to be creative and to build teams with artists. I like getting excited about images and seeing my work progress. Photography is a challenging craft to master, but I enjoy the experiences and the people I get to meet while pursuing it. TBM: Do you find that now you've developed a perhaps better understanding or even appreciation of photographers that you didn't before? SP: Absolutely! I still have a lot to learn. Fortunately I’ve had some really great mentors in Toronto and abroad. Understanding client needs, letting go of ego, working with budgets/teams, developing lighting abilities and learning to tell a “story” are some of the most challenging aspects of the work for me. There is a lot of talented competition in this city [Toronto], but it’s a great thing because it only pushes you to produce better work. TBM: How has your experience as a model helped you in being an agent and photographer? SP: I think my experience as a model has contributed to my approach as an agent. As a model, I've always felt like I could have gone further in my career if my agents were more nurturing and/or forgiving. However, I don’t feel I was ever as special as some of the models that I currently represent. By comparison, my models have been to more of the primary markets than I have, working with some of the best agencies and clients. Experiencing life as a model also made me understand which traits of my agents I’d carry over as a mother agent and those I would not. Modelling isn’t a conventional path for people to take. It’s a very unrealistic lifestyle for most people and with it comes a lot of challenges; this is where I feel a good mother agents comes into play. A good mother agent will be there for you through thick and thin. An agent once described models to me as a “commodity” - a mentality I don't believe in. I treat everyone as an individual that plays a valuable role in building my brand as much as I am building their brand. I think models sometimes get pushed aside if they don’t happen over night, it’s a sad thing. I have seen some amazing transformations that affirm to me that if you believe enough in someone and with the right attitude, you can always achieve your goals. You can follow Sean on Instagram, and connect with Want via their website, Instagram, and Facebook.